The new MacBook Air has a 13.3-inch display with an updated 2 560×1 600-pixel screen resolution. It is powered by Intel’s dual-core Core i5 chips starting with 8GB of RAM and 128GB SSD. The RAM goes up to 16GB and storage options include 256 and 512GB, or a massive 1.5TB (on special order). It has a 720p HD camera, a fingerprint sensor, a headphone jack (it seems Apple still knows how to make those) and only 2x USB-C ports. 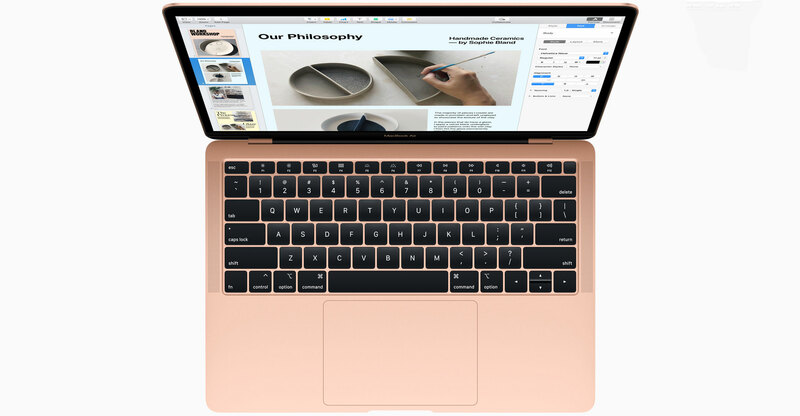 It is available in the colours that were introduced with the 12” MacBook: rose gold, grey and silver, and the backlit logos have been replaced with pretty mirror foil. I’ve been using the Air for two weeks now and I love how snappy it is. There’s no lag when everything wakes up from sleep. I’m also a fan of unlocking it with Touch ID, which is instantaneous. I can have many browser tabs open, things don’t randomly freeze and, most importantly, the display is crisp. I do love a high-res display and I keep it to the maximum, but you can downscale or if you struggle to see things that are too small on-screen. The battery lasts a full eight-hour day, and longer if you dim the screen. I used my USB-C charger from my 12-inch MacBook on the Air and found that it was slightly snug and required some effort to remove, which is odd because you’d expect the USB-C port size to be identical. If you’re in the market for a Mac, you’re probably going to debate between the 12-inch MacBook and the 13-inch Air. The only reason to go for a MacBook Pro model is if you’re a creative who does intense graphics and video editing daily. 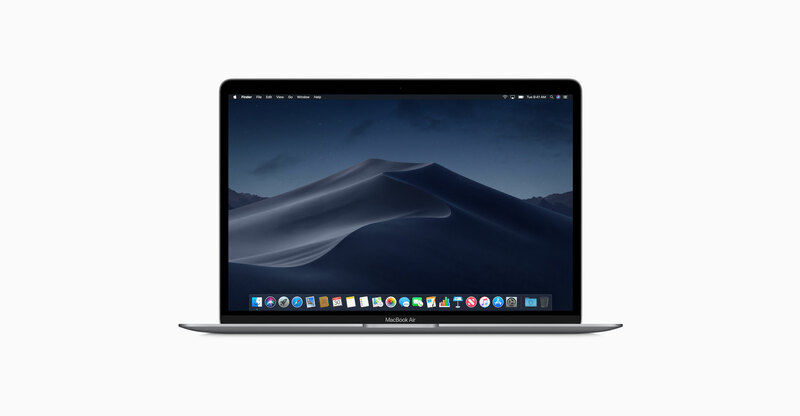 When you compare the 12-inch MacBook and the new Air, one thing is obvious: the new Air gives you more power, and the 12-inch model gives you more storage, with the latter being underpowered, but more lightweight (920g versus 1.35kg). As someone who waited years for a high-resolution MacBook Air, I opted to go with the 12” MacBook in 2015. Fast-forward to 2018, I feel like all that money I spent on the MacBook (512GB) could have gone towards a more powerful Air, and I’d still have plenty of change left over. In retrospect, storage doesn’t mean that much to me anymore because I back up everything to iCloud. I rarely need to store large files on my SSD because if things aren’t on the cloud, then I’m probably streaming it. That said, the new Air should have come with at least a 256GB SSD as standard, because 128GB has been on offer since late 2008.